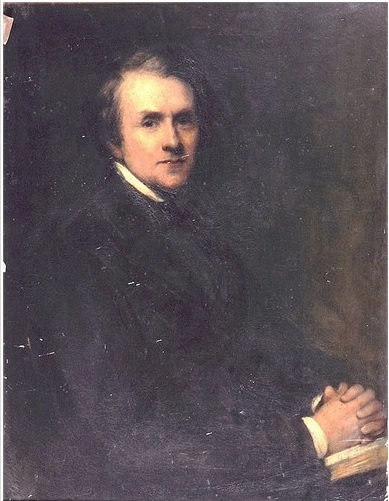 Robert Cooper Lee Bevan (1809-1890) is one of the wealthiest members of our cohort. When he died in 1890 his unsettled personal property was valued at £953,382.11s.11d. This figure is not a simple measure of his wealth as it excludes landed property and any property settled on his heirs. He certainly owned such property; for example, John Bateman’s Great Landowners of Great Britain and Ireland (1876) records that in 1873 he owned 3,913 acres of land in Wiltshire, Berkshire, Middlesex, Hertfordshire and Hampshire, worth £3,576 a year. In addition he owned houses in London and Brighton, and a villa at Cannes. However, if imperfect, his probate valuation does reflect his position in the top echelons of Victorian society – there were only around 250 probate valuations of over £500,000 made in the period 1880-99; Bevan, it would seem, was a member of the late nineteenth-century 1%. 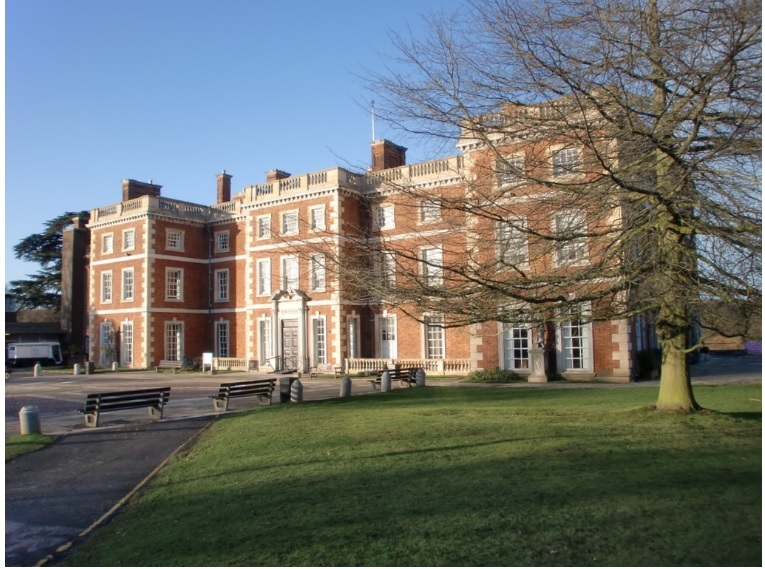 Trent Park, New Barnet – Bevan’s estate. How did Bevan accrue this vast fortune? Partly it came from inheritance. He was the eldest son of David Bevan (1774-1846). David Bevan’s own considerable wealth rested partly on his position as a partner in the Quaker private banking firm of Barclay, Bevan & Co. This was the oldest surviving Quaker bank in London, having been founded in 1690. However, it was also based on his marriage to Favell Lee, daughter of the wealthy slave owner and merchant Robert Cooper Lee. Robert’s wealth also came from the growth of Barclay, Bevan & Co. Robert joined the bank as a partner in 1830 when his father had to retire following a paralytic seizure. He was an active partner for fifty years, and a silent partner from 1880-1890. 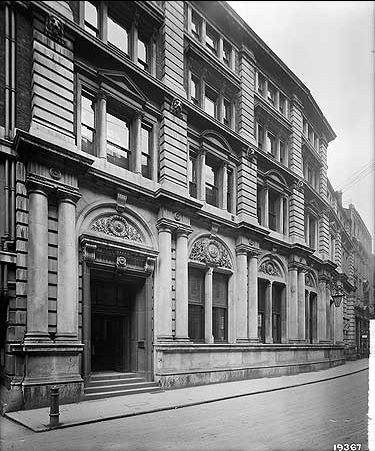 During this sixty-year period the bank’s profits tripled and by 1890 it was the second largest London bank. This considerable wealth placed Bevan and his family in very different circumstances to the majority of the professionals examined by this project. This is reflected by the activities and marriages of his children. Robert Cooper Lee Bevan married twice. First, in 1836 he married Lady Agneta Elisabeth Yorke (1811-51), daughter of Admiral Sir Joseph Sydney Yorke, the second son of Charles Yorke who was Solicitor General in the 1750s and 1760s and Lord Chancellor in 1770. Agneta’s brother, Charles, became 4th Earl of Hardwicke in 1834. Robert and Agneta had seven children: Sydney (1838-1901), Francis (1840-1919), Lucy (1841-45), Alice (1843-1923), Wilfred (1846-1905), Roland (1848-1923) and Edith (1850-1929). Agneta died in 1851, and in 1856 Robert married Emma Frances Shuttleworth (1827-1909), who was a translator of German verse and a writer of hymns. She was the daughter of Philip Nicholas Shuttleworth (1782-1842) Bishop of Chichester and Warden of New College, Oxford. Robert and Emma had nine children: Ada (1857-1861), Anthony (1859-1933), Hubert (1860-1939), Millicent (1862-1946), Gladys (1865-1947), Gwendolen (1866-1937), Edwyn (1870-1943), Enid (1872-1954) and Nesta (1875-1960). Of his sixteen children, fourteen survived into adulthood. Of those fourteen, twelve married, many into elite families. Edith married William Middleton Campbell (1849-1919), an extremely wealthy West India merchant from a family of merchants and slave owners (his grandfather had been awarded over £80,000 compensation following the abolition of slavery in 1833). Edith and William’s son, Norman Robert Campbell (1880-1949) became a noted physicist and philosopher of science. Roland married Agneta Olivia Fitzgerald (1850-1940) the daughter of Arthur Fitzgerald Kinnaird, 10th Lord Kinnaird of Inchture and 2nd Baron Kinnaird of Rossie (1814-87), a banker, Liberal MP for Perth (1837-9, 1852-78) and an eminent philanthropist. Gwendolen married Ion Grant Neville Keith-Falconer (1856-87) an Arabic scholar and son of Francis Alexander Keith-Falconer, eighth earl of Kintore (1828-1880). A number of the children and their spouses left considerable fortunes, albeit none as large as that left by Robert Cooper Lee Bevan himself. Anthony’s probate valuation was £135,242.8s.2d. and Wilfrid’s £275,186.3s.10d. Wilfrid followed his father into banking as a partner of Barclay, Bevan & Co. Anthony was a notable orientalist and biblical scholar and a fellow of Trinity College, Cambridge. Seven of the other Bevan children’s probate valuations were over £10,000. William Middleton Campbell, Edith’s husband, was valued at £711,389.0s.10d. The Bevan family were one of the few families among out cohort that had close relations with the aristocracy, and these marriages and probate valuations reveal that the Bevans were part of the elite of Victorian society rather than part of the middle classes. Interestingly, two other members of our cohort married into the Bevan family. Thomas Pyper (1818-1902), the vicar of Lyminster in Sussex, married Theodosia Bevan (1829-86) the daughter of Richard Bevan (1788-1870) who was Robert Cooper Lee Bevan’s uncle. James Naesmyth (1827-96), son of cohort member John Murray Naesmyth, 2nd Baronet Posso (1803-76), married Agnes Carus-Wilson Bevan (1856-1924). Agnes was the daughter of David Barclay Bevan (1813-98) who was, in turn, the brother of Robert Cooper Lee Bevan. The Bevans, however, are interesting for more than just their social connections and wealth. Robert Cooper Lee Bevan came from a family that had originally been Quakers. However, the Bevan family had been expelled when his grandfather, Silvanus Bevan (1743-1830) had married a non-Quaker. Despite this, the family remained closely linked to a network of Quaker bankers who included the Barclays, Gurneys, Lloyds and Galtons. Barclay, Bevan & Co. were at the centre of a network of Quaker and ex-Quaker country banks that provided much needed support and solidity during banking crises in the nineteenth century. For example, during the financial crisis of 1824-5, Barclay, Bevan & Co. co-ordinated assistance to banking firms short on accessible funds but otherwise sound, allowing them to survive while numerous insolvent banks outside this network failed. Bevan’s children allow us to consider what the second generation of a wealthy mid-nineteenth-century family did with the resources available to them. Five of the surviving fourteen children pursued careers of their own. They all entered the professions. Francis and Roland became bankers and partners in Barclay, Bevan & Co. Francis succeeded his father as senior partner in 1890 and was the first chairman of the new corporate entity, Barclay & Co., created in 1896 out of the merger of Barclay, Bevan & Co. with several other banks. Two of Robert and Emma’s sons, Anthony and Edwyn, were scholars of some repute. As noted above, Anthony was an orientalist and biblical scholar, while Edwyn was an historian of ancient Greece and a philosopher. Edwyn is an interesting case. For the first thirty years after leaving New College, Oxford, he lived as an independent scholar. However, in 1921 he lost a great deal on the stock exchange in 1921 and, thus, at the age of fifty one had to look for paid work for the first time. King’s College London offered him a post as a lecturer in Hellenistic history and literature. He held this post from 1922 to 1933, when increasing deafness forced him to retire. A legacy from King’s allowed him to retire and concentrate on problems of religion and philosophy. His case is notable both for the financial trouble even the wealthy could experience in the early twentieth century and for the ease in which these troubles were negotiated. There is one striking exception to the general picture of wealthy respectability of the Bevan family. The youngest daughter of Robert and Emma, Nesta used her considerable inheritance to fund two round-the-world trips. 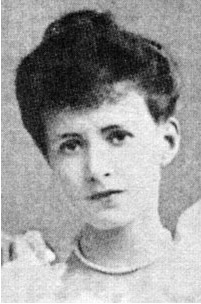 While in India, on the second of these trips, she met Arthur Templer Webster (1865-1942), they married in May 1904. So far, so unremarkable. However, in 1910 she read the letters of the comtesse de Sabran, a French aristocrat, written during the French Revolution. This convinced Nesta that she was a reincarnation of someone who had lived through that period and she began to write on the French Revolution. One of her publications was The French Revolution: a Study in Democracy (1919). In this she developed a conspiracy theory which saw the influence of ‘Illuminated Freemasonry’ driving and directing not just the French Revolution, but all revolutionary activities throughout history. The ‘discovery’ of the Protocols of the Elders of Zion, convinced Webster that Jews directed this conspiracy. She maintained this conviction even after the Protocols were revealed as a forgery. 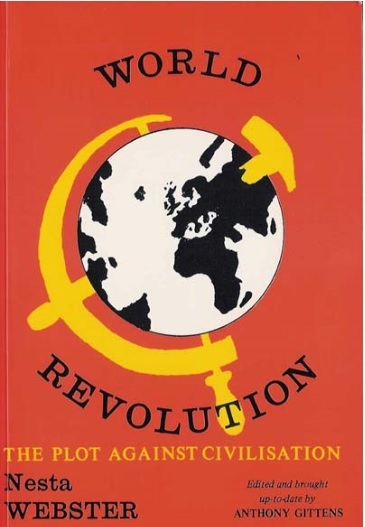 In 1921 she published World Revolution: the Plot Against Civilization, this described the continuing ‘Judaeo-Masonic’ plot based on international finance. This conspiracy had, supposedly, been most seen most recently in the Bolshevik revolution. Nesta Webster’s World Revolution (1921). The Bevans were an extremely rich family who were far from representative of our professional cohort as a whole. Few of our other families married into the gentry and aristocracy and few produced anti-Semitic conspiracy theorists. The information presented in this entry derives mainly from census, parish and probate records, supplemented by secondary sources on banking as well as ODNB entries for a number of the family members. The particulars of their family dynamics, marriage patterns or how Nesta came to hold such repellent views will hopefully become clearer as we delve deeper into their history. Margaret Ackrill and Leslie Hannah, Barclays: The Business of Banking, 1690-1996 (Cambridge, 2001). Hi, just wonder where the portrait of Robert Cooper Lee Bevan came from? It doesn’t look much like the one my family have of him, but he is older in ours so maybe he changed a lot. The copyright is gallica.bnf.fr / Bibliothèque Nationale de France but I will ask my colleague Harry if he has any further info.